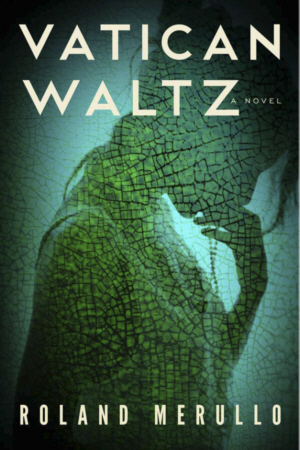 The new novel from the award-winning author of Breakfast with Buddha and Revere Beach Boulevard tells the story of a young catholic woman jolted from a quietly devout life in pursuit of a mysterious calling. Cynthia Piantedosi lives a quiet, unassuming life outside Boston, guided by her Catholic faith. When she loses her beloved grandmother, she begins experiencing “spells” of such intense spiritual intimacy that she wonders about her sanity. Devoted to her elderly father and not particularly interested in dating and socializing, she develops a deep friendship with her parish priest. His congregation sees him as provocative and radical, but he encourages Cynthia to explore her faith—however it presents itself. When he is killed in a mysterious accident, a message begins to emerge from Cynthia’s prayers: God is calling her to be the first female Catholic priest. Her revelation is met with ridicule by certain of the more reactionary officials she reaches out to within the Church. Unable to tune out the divine messages, she lets the power of unswerving faith drive her all the way to the Vatican in pursuit of a destiny she doesn’t fully understand—and sets off a turn of events that will rock the Church to its foundation.